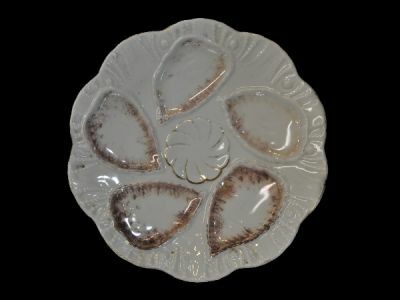 A white oyster plate with some brown and gilding details with stippled gold highlighting the five oyster shell shaped compartments and one central compartment. With moulded ornamentation around rim. Measuring 21.6cms (8 ½ inches) across.